: the aim of the club shall be to promote interest in all forms of radio controlled silent and quiet electric flight operation and to provide facilities for use by members with common modelling interests. We are a group of around 40 club members who fly radio control gliders in the Stroud valleys (in the South West of England). Our club is affiliated to the BMFA (British Model Flying Association) so that we can take advantage of their £10 Million 3rd party insurance scheme. 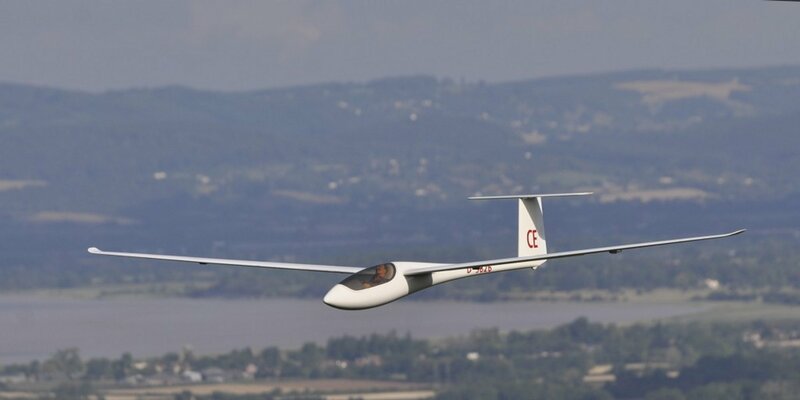 We fly all types of r/c gliders, anything from the basic balsa models, EPP flying wings, 1/4 scale and the fully moulded F3X models. Any time it's not raining! Most of the flying is done at the weekends, with Sunday morning being most popular. II you've ever flown a radio control plane you'll already know the answer! For those of you that haven't...give it a go, then you'll know as well! We always welcome new members, just print out and fill in our PDF membership form and post it off to join our club. do not do anything that may compromise the safety of the general public, club members or anyone else. all SCSA club members and visitors are required to follow the following flying rules: (Including paragliders,;animals, cars or anything else) Every club member is a safety officer. If you see something that you consider is dangerous, approach the offender in a polite but firm manner. 35 MHZ Frequency control. Check that no one else is flying on your frequency. check that all the controls on your model work correctly and the model is fit to be flown. Ask for advice and help, particularly if you are an inexperienced pilot, or you are test flying a new model. Always do a proper range check on new models/radio gear. Do not fly any models if you are experiencing any radio or control problems until they are fixed. When flying, keep a safe distance from yourself, other club members (minimum 30 metres), give paraglider/hangliders and members of the public plenty of room. When landing your model think of what might happen if you need to over fly the landing and go round again. Allow yourself an "escape route" and do not choose a landing approach that may involve flying towards, or over, anybody. You must always be prepared to take avoiding action to avoid an accident with a club member/member of the public/paraglider/animal etc, even if this means crashing your model. At any time you are not flying, YOU are a safety officer. Keep fliers informed of approaching members of the public, animals, paragliders etc. All club members should make themselves aware of the contents of the BMFA handbook, which will have been issued to them when they joined the BMFA. these are a guide to the Air Navigation Order, which is the law. Do not fly noisy models in public areas, or within 400 metres of a dwelling If in doubt, ask for advice and assistance!